What may be some additional real specs on the upcoming Samsung Galaxy Tab S4 is said to be leaked by Samsung fansite Sammobile, where the claim is that the Samsung S4 tablet will feature LPDDR4 RAM, a 7300 mAh battery, ditch the fingerprint sensor in favor of an iris scanner instead, and that it will have support for Samsung’s productivity setup DeX. This begs the question, have Samsung developed a new DeX docking station too then for the Samsung Galaxy Tab S4? There are two DeX docks on the market from Samsung at the moment, with these being the round DeX Station and the flat DeX Pad. It should be possible to fit a Samsung Galaxy Tab S4 onto the port of a DeX Pad, but it would be an awkward couple. 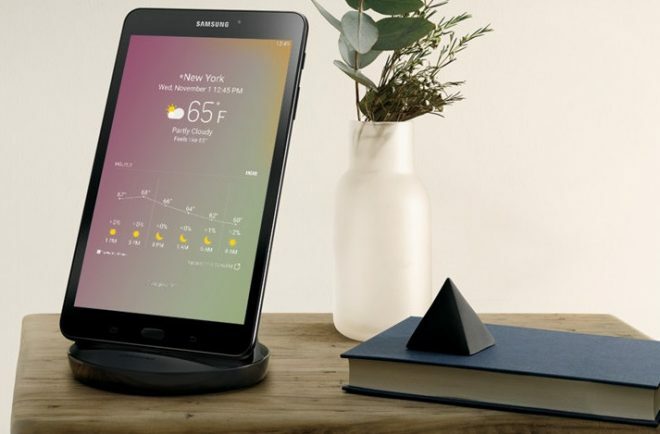 The last dock Samsung have released for a tablet, was the Samsung Galaxy Tab A 8.0 Charging Dock that you can see in the image below. But this is just a charging dock, and doesn’t function as a dock with multiple ports for external monitor, mouse, and keyboard support, like a DeX dock does. So that’s interesting. There may be even more to learn about the Samsung Galaxy Tab S4 before it’s announced then. The Samsung Galaxy Tab S4 battery size may sound small, but it’s not that far off from the 7900 mAh battery on the first Samsung Galaxy Tab S 10.5. 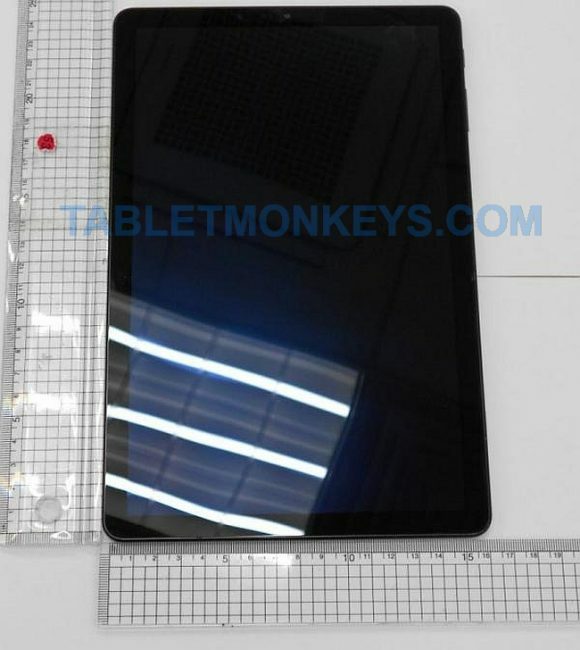 For everything else about this tablet until then, you can find all the other information that has come out on this tablet through our Samsung Galaxy Tab S4 pages.